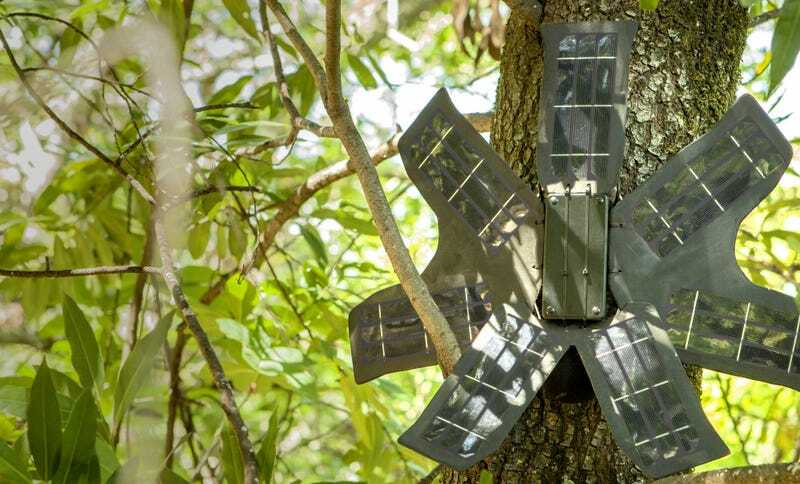 Each cell phone is protected by a plastic case and powered by a small solar array. A highly sensitive microphone records the sounds of the rainforest, which is sent to the cloud to be analyzed. When it hears a chainsaw, it sends a text or email to authorities. His technology has been a boon to conservation efforts. Logging scars landscapes, destroys habitats and is a major contributor to climate change. Trees scrub carbon from the skies and store it in their leaves and branches. When loggers cut down a tree, they eliminate a valuable carbon sink. Over time, that can add up. Deforestation contributes more to climate change than every car and truck on Earth. Illegal logging accounts for as much as 90 percent of tropical deforestation. Now, White is adapting his technology to go after poachers, building devices that listen for gunshots and boat engines as well as chainsaws. He’s deployed souped up smartphones to forests in Bolivia, where authorities are working to protect a dwindling population of jaguars. Poachers are slaughtering the animals for their teeth, which are used by traditional Chinese healers to treat rheumatism, among other ailments. White’s phones will alert park rangers when they hear poachers. Indigenous communities from Indonesia to Guyana are using smartphones to stop illicit loggers. Affordable phones with video cameras and GPS technology have democratized monitoring. Now, anyone with an Android can shine a light on wrongdoing — activists like White and Néri are just making it easier. Jeremy Deaton writes for Nexus Media, a syndicated newswire covering climate, energy, policy, art and culture where this story was originally published.